Any time you transition to a new platform, there is the opportunity to look at things with a new perspective. For us at 343 Industries, the launch of the Xbox One was an opportunity to think about what stories we wanted to tell, how to tell them, and how best to push the Halo franchise to showcase the platform. And, most importantly, combining our passion for Halo with the vocal and informative input from our fans. Halo isn’t simply a perennial game franchise, it’s a part of the Xbox platform itself. In terms of innovation and ideation, it’s sometimes important to people who might not even play Halo. And of course it’s a passion and an essential experience for two generations of gamers. So we asked ourselves, how do we begin and where do we go with Halo on Xbox One? In the past, Halo games have pushed the Xbox forward, showcasing the console and its ecosystem in entertaining and innovative ways. Making a Halo game that runs at 60 frames per second, on dedicated servers, with the scope, features and scale we’ve been dreaming of for more than a decade, is non-trivial. It’s a task that we, at 343 Industries, are taking very seriously to ensure we deliver the Halo game that fans deserve, and a game that is built from the ground up for Xbox One. 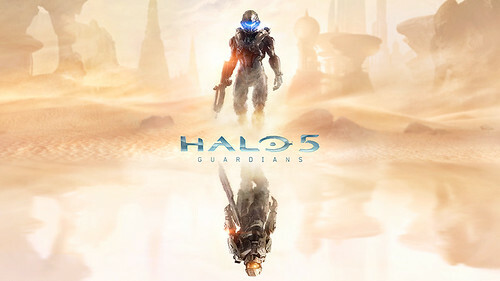 I’m happy to reveal that Halo 5: Guardians, the next installment in the legendary saga of the Master Chief, will launch on Xbox One in fall of 2015. In the tradition of every Halo game since its debut in 2001, it is a massive and exciting project. Halo 5: Guardians is a bigger effort than Halo 4. That applies to the content and scope of the game, as well as the technology in what’s now a brand new and more powerful engine. Certainly there are some core elements carried over from prior games, but we’ve invested a huge effort in retooling our tech to take full advantage of the Xbox One’s hardware and ecosystem to create worlds and experiences worthy of next-gen.
It’s a game that will hopefully demonstrate the talent, learnings and abilities of the 343 Industries team. A game that will incorporate the things we learned from Halo 4 about technology, aesthetics, performance and scale – and perhaps more importantly, understanding and embracing a community of gamers who love what lies at the heart of this game, and the limitless potential of the Halo universe. And 2015 won’t simply be the year of Halo 5: Guardians, it will also be a year that offers us a unique opportunity. The opportunity to invite old friends and new audiences into that universe through the Halo television series, launched as a unique collaboration with Steven Spielberg and some of the finest creative minds in the business. A series that will stand alone, as well as complement and enrich the game experience. We’ll have more to share on the Halo television series as we near its projected fall 2015 release. Many fans noted that I was very deliberate with my phrasing on stage at E3 last year. I spoke about a “journey,” rather than a destination – and that journey definitely begins in 2014 with a giant leap, rather than one small step. We’ll give you much more information about our plans for this year at the Xbox E3 2014 Media Briefing on June 9, and we’re confident that Halo fans will be pretty excited the special plans we have in store. So until E3, I’d like to express my gratitude to our massive and varied Halo community, whose energy, enthusiasm, criticism and kindness are the driving force behind what we do and what we hope to achieve in Halo 5: Guardians.